Ideal for small game hunting and general plinking, CCI .22 Mini-mag long rifle ammo is one of the industry's leading rimfire rounds. For years CCI has provided exceptional performance and is a reliable source of ammunition for any shooter. Clean-burning propellants help to keep the action cleaner and non-corrosive so you can shoot your rifle without any second guessing! Buy 10+ boxes (1000+ rounds) and get FREE shipping! Love this ammo! Stock up just in case! 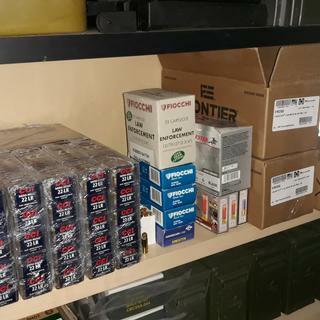 Purchased 5000 rounds to start stocking up, not too long ago 22lr went through the roof on pricing along with all other ammo. It's easy to stock up on since its inexpensive and the CCI line I've had no issues with in all 7 of my 22 cal firearms. Best price and free shipping can’t be beat. I am hoping they get more in stock soon. My 22’s love this ammo. Always cycles w/o any hiccups. Savage MK 2 FV shoots very tight groups with CCI 40 Gr Mini Mags at 50 yards . All I shoot anymore . This is really nice .22LR ammo. Great deal. Fast shipping! Highly recommend. the ammo arrived on schedule all went very well. CCI produces an excellent product. Will always buy when on sale. Work as I always expect CCI Mini Mags to work. No miss fires. 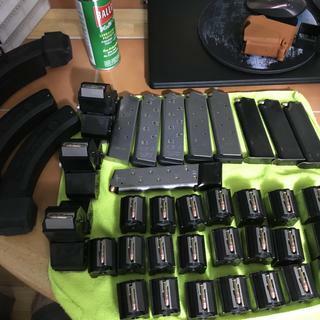 I have had on one Fail To Fire in all the years and thousands of rounds of Mini Mags. Use Mini Mags for all competition shooting. Runs in every firearm and is more reliable than any other brands. Very reasonably priced. Failure rate may be less than 1%, (failure to fire & stove pipe) Burns relitively clean, rather consistent ignition which keeps the accuracy tolerable. I buy nothing but these days but #0030. This eliminates having to adjust your optics to match multiple brands & volacity of ammunition. Close to 8,000 rds with no adjustments to my optics. I shoot steel plate matches out to 100yds, this ammunition works well. 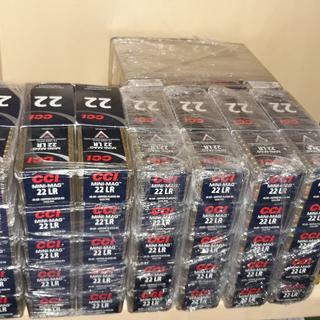 Bought several thousand rounds of CCI Mini-mag ammo. I search alot of websites for cheap CCI ammo and Palmetto has the best prices around by far. Best prices are what the total cost is to my door. Palmetto consistently has CCI Mini Mag ammo under 6 cents a round delivered and I have not found it anywhere else for -6 cents and that includes all the vendors on "ammoseek". I shoot only copper plated bullets and when using CCI failure to feed or eject are almost non existent no matter how dirty my guns are when shooting my Ruger Mark IV pistols, Sig Mosquito w/wo suppress, 10-22 and Sig 522 (AR15). Super Fast Ship! Great Ammo for S&W AR 15 22 shot thousands of rounds and 0 fails! I use it in my in all my competition 22's.... (S&W M&P 22 carbine,, works well with the 50 round Black Dog mags. Buckmark pistols). i shoot in the Steel Challenge match's, and 22 steel plate local match's... Poor man's Mini Mag ammo.... Very reliable....! Good ammo. Best ammo for my S&W 41. Arrived with almost all plastic boxes broken. Outside packaging not damaged so was damaged before shipping. Contacted PSA and was offered a surplus GI ammo box. I always liked CCI Mini-Mag. Great price and I'm very happy with the purchase. My Sig Mosquito loves it! Great ammo at a great price! I don’t buy anything but this in 22LR. The best all around 22LR ammo on the market. Can’t beat the combo of quality, accuracy, performance and price. Wether pistol or rifle, all my guns eat this am I like a fat kid in a candy store! Only ammo I shoot in Rimfire Challenge. One of my favorites for .22LR ammunition. Burns cleaner then other .22 ammo with a deep discount. Far fewer FTF’s the other brands. Cycles all of my 22 autos pistols and rifles with no issues. I have two SR-22's and they both love CCI ammo. Price is outstanding...Why would I try to shoot anything less than CCI quality to save a penny per round? This is the best ammo I have found for my purposes. I shoot steel and bowling pins in competition. This involves speed and decent accuracy. while mini mags may not produce the finest accduracy in some guns, they are good. For my purpose reliability is the number one characteristic I look for, and this CCI ammo provides it consistently from lot to lot. Other stuff has shown good results sometimes, sometimes not. CCI is what I use for competition when I can get it. Anything else goes for practice. Use this ammo in Ruger SR22. Absolutely NO failures to feed, fire, or eject after many rounds fired. Have tried others and have failures to fire on regular basis. I buy these whenever available. Yes, would recommend to a friend. 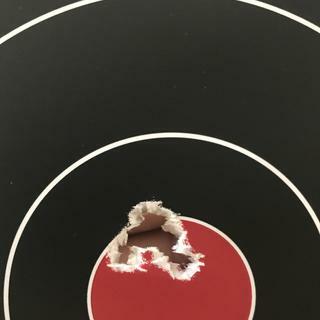 10 rounds at 50 yards hard to beat! This is the best ammo on the market at a super price. Can't go wrong! Mini Mags have proven to be the most consistent and reliable .22LR ammo that I feed to a variety of rifles. This quality seems to carry over to their lower-velocity .22's as well. Failures to feed/fire/eject are almost non existent and those that do occur can be traced to worn firing pin/ejector/feed ramp/stop in a well- used rifle. Good 22 ammo. I like it. This is good stuff you can't go wrong with CCI. Excellent shot to shot and lot to lot consistency. Reliable and accurate. Everything I've come to expect from CCI. Bought 40 boxes. Two boxes came damaged. Ammo still shot fine. Happy happy. Glad to be back outdoors shooting and have to say this is my favorite 22 ammo to use. Never have issues with it. Kudos to palmetto as well, in past when I have ordered online from other companies it would arrive damaged cases and loose rounds crushed or not even in the box. They take the extra time to wrap it in plastic which holds it all together with no damage like all the others have been from other suppliers. Palmetto has gotten it right and my new favorite company. I've been stocking up on 22 ammo and CCI is one of my favorite brands. I love the fact that Palmetto Arms offers free shipping for 10 or more boxes. This is just a great company and I'm glad to support them! P.S. I also have a couple of Palmetto AR 15s and they are superb guns. Go to ammo for Semi-Auto rifles. Mini mags have been and continue to be the standard for semi auto rimfires. You'll see posting after posting raving about how reliable it is. Mini mags have been my go to for 10+ yrs in my rimfires and continues to be to this day! It's all good. I can't think of anything that could've presented a better buying experience. 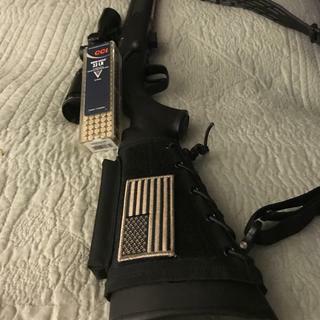 This ammo fits perfectly into my Ruger Bearcat and Smith & Wesson Kit Gun. Feeds perfectly in my Ruger semi-autos also. Have had a lot of trouble with the dimensions of both Winchester and Remington as far a fitting into my revolvers. Not this ammo......it drops right in the cylinder. Arrived damage free, well packed and great pricing. CCI Mini-Mags are great! Palmetto met all my expectations with a seamless transaction and fast shipping. Will order again. Run well in my HK 416 pistol.